I’m starting to understand more and more what people mean when they say that weekends go by too weekly. Seriously, how does that happen? One minute it’s Friday night and I’m relishing 48 hours off and the next I’m back to making school lunches. My grand plans to return to the Test of Metal this past weekend were foiled by injury and babysitting costs. 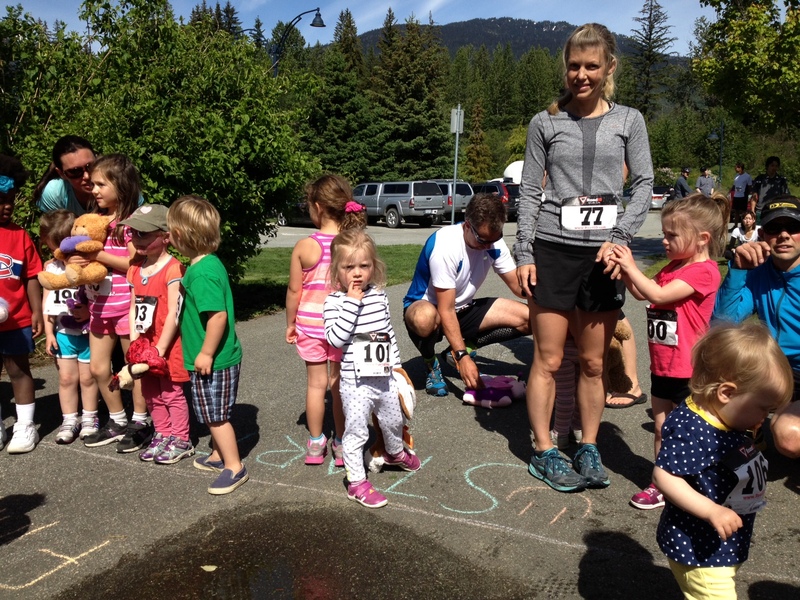 So on to plan B we went… The Whistler Valley Trail Run. The boys both promised they’d run the whole thing. Will kept his word. Rory, however, not so much. 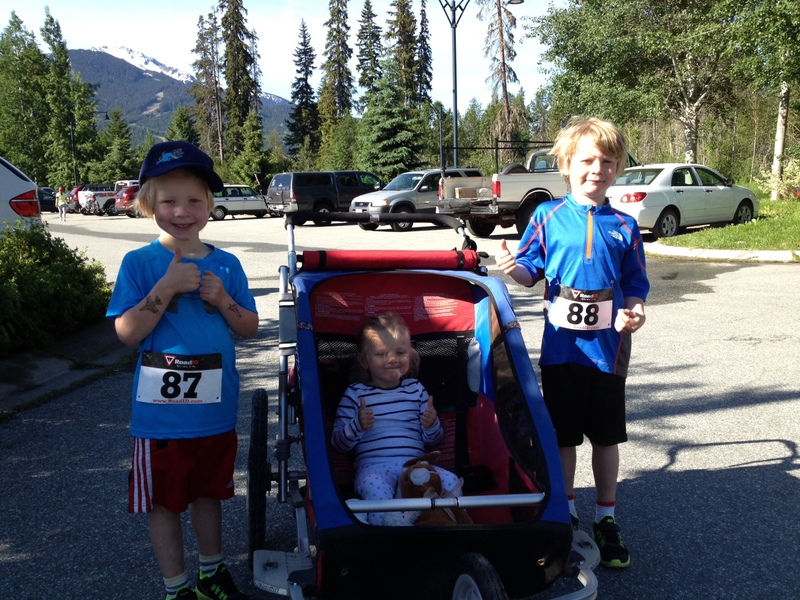 Pushing 75 pounds of kids through the trails is the same as running 10k, right? Right. Anja rounded off the team effort with the Teddy Bear trot. No dress this time, I don’t know what got into her. Sunday I celebrated Father’s Day by sleeping in till 7:30 and then treating myself to a 2h solo trail run. That was pretty much perfection right there. Phew, I feel better already. 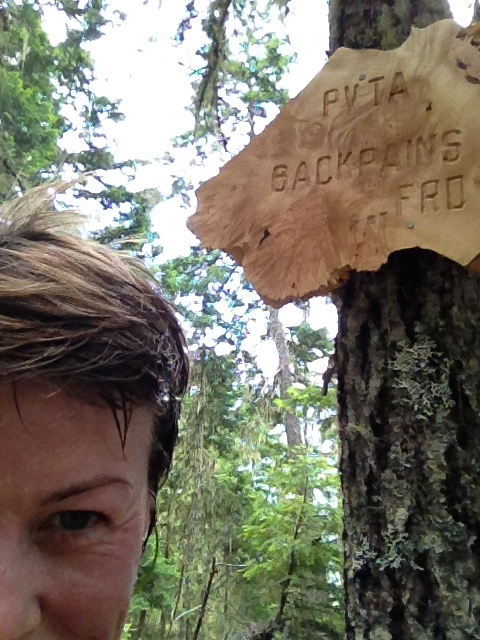 Next up: a trail race without kids, Comfortably Numb. My body has blocked out the pain from the last time I did it, let’s see how quickly those memories come flooding back next weekend.